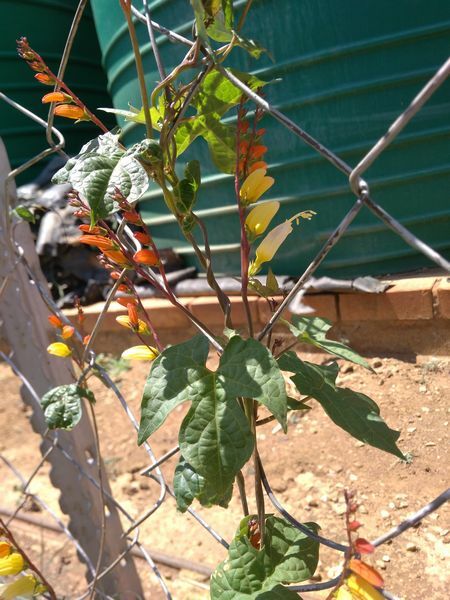 Showy annual vine up to 3+m tall. 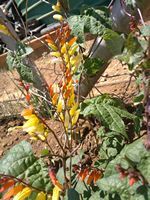 Produces masses of dazzling 3.8cm tubular flowers that mature from soft lemon yellow, through orange and deep rusty red. 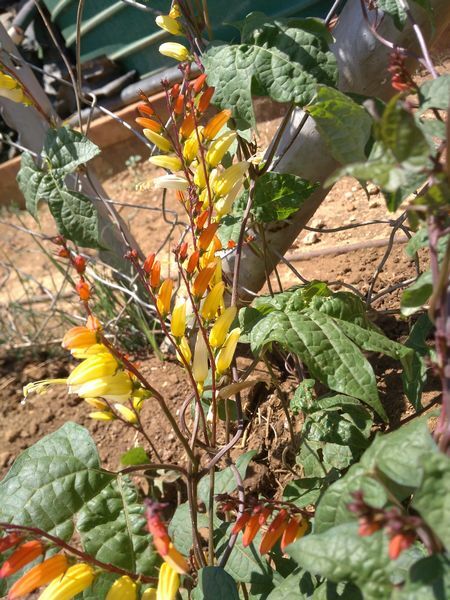 All the flowers are on one side of the stem, like a flag. Will tremble, even on the stillest day. Always full of flowers – a sugarbird magnet. Needs well drained soil, full sun or partial shade.